This article is about the South African sub-antarctic islands. For the Canadian province, see Prince Edward Island. 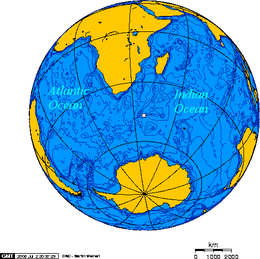 The Prince Edward Islands are two small islands in the sub-antarctic Indian Ocean that are part of South Africa. The islands are named Marion Island (named after Marc-Joseph Marion du Fresne) and Prince Edward Island (named after Prince Edward, Duke of Kent and Strathearn). Marc-Joseph Marion du Fresne, with the surname sometimes spelt Dufresne, was a Breton-born French explorer who made important discoveries in the south Indian Ocean, in Tasmania and in New Zealand. Du Fresne was killed by Māori in 1772. The islands in the group have been declared Special Nature Reserves under the South African Environmental Management: Protected Areas Act, No. 57 of 2003, and activities on the islands are therefore restricted to research and conservation management. Further protection was granted when the area was declared a "Marine Protected Area" in 2013. The only human inhabitants of the islands are the staff of a meteorological and biological research station run by the South African National Antarctic Programme on Marion Island. 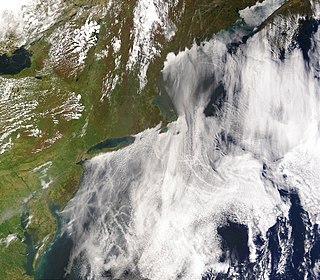 Meteorology is a branch of the atmospheric sciences which includes atmospheric chemistry and atmospheric physics, with a major focus on weather forecasting. The study of meteorology dates back millennia, though significant progress in meteorology did not occur until the 18th century. The 19th century saw modest progress in the field after weather observation networks were formed across broad regions. Prior attempts at prediction of weather depended on historical data. It was not until after the elucidation of the laws of physics and more particularly, the development of the computer, allowing for the automated solution of a great many equations that model the weather, in the latter half of the 20th century that significant breakthroughs in weather forecasting were achieved. The South African National Antarctic Programme is the South African government's programme for research in the Antarctic and Subantarctic. Three research stations fall under this programme: the Antarctica research station SANAE IV, and one station each on the subantarctic islands Gough Island and Marion Island. These stations are managed and administered by the Directorate: Antarctic and Islands of the Department of Environmental Affairs. The Crozet Islands are a sub-antarctic archipelago of small islands in the southern Indian Ocean. They form one of the five administrative districts of the French Southern and Antarctic Lands. 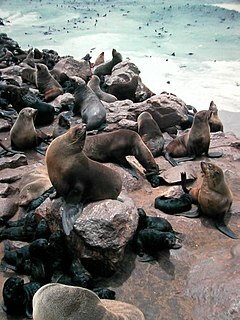 Fur seals are any of nine species of pinnipeds belonging to the subfamily Arctocephalinae in the family Otariidae. They are much more closely related to sea lions than true seals, and share with them external ears (pinnae), relatively long and muscular foreflippers, and the ability to walk on all fours. They are marked by their dense underfur, which made them a long-time object of commercial hunting. Eight species belong to the genus Arctocephalus and are found primarily in the Southern Hemisphere, while a ninth species also sometimes called fur seal, the northern fur seal, belongs to a different genus and inhabits the North Pacific. The sealing era lasted from 1799 to 1913. During that period visits by 103 vessel are recorded, seven of which ended in shipwreck. Sealing relics include iron trypots, the ruins of huts and inscriptions. The occasional modern sealing vessel visited from Cape Town, South Africa, in the 1920s. In 1908 the British government assumed ownership of the islands. In late 1947 and early 1948, South Africa, with Britain's agreement, annexed the islands and installed the meteorological station on Transvaal Cove on the north-east coast of Marion Island. The research station was soon enlarged and today studies regional meteorology and the biology of the islands, in particular the birds (penguins, petrels, albatrosses, gulls) and seals. Prince Edward Island ( 46°38′39″S37°56′36″E﻿ / ﻿46.64417°S 37.94333°E﻿ / -46.64417; 37.94333﻿ (Prince Edward Island) ) is much smaller—only about 45 km2 (17 sq mi), 10.23 km (6.36 mi) long and 6.57 km (4.08 mi) wide—and lies some 12 nmi (22.2 km; 13.8 mi) to the north-east of Marion Island. The terrain is generally rocky, with high cliffs (490 m or 1,608 ft) on its south western side. At the van Zinderen Bakker Peak north-west of the center, it reaches a height of 672 metres (2,205 ft). There are a few offshore rocks along the northern coast, like Ship Rock (100 m or 328 ft, north of northernmost point), Boot Rock, about 150 metres (492 ft) off the northern coast, and Ross Rocks (500 m or 1,640 ft, from the shore). Despite being located inside the south temperate zone at 46 degrees latitude, the islands have a tundra climate. They lie directly in the path of eastward-moving depressions all year round and this gives them an unusually cool and windy climate. Strong regional winds, known as the roaring forties, blow almost every day of the year, and the prevailing wind direction is north-westerly. Annual rainfall averages from 2,400 mm (94.5 in) up to over 3,000 mm (118.1 in) on Mascarin Peak. In spite of its very chilly climate it is located closer to the equator than mild northern hemisphere climates such as Paris and Seattle and only one degree farther south than fellow southern hemisphere climates such as Comodoro Rivadavia in Argentina and Alexandra in New Zealand. Many climates on lower latitudes in the opposite hemisphere have far colder winters than Prince Edward Islands due to their maritime moderation, even though temperatures in summer are way short of normal maritime climates. It rains on average about 320 days a year (about 28 days a month) and the islands are among the cloudiest places in the world; about 1300 hours a year of sunshine occurs on the sheltered eastern side of Marion Island but only around 800 hours occur away from the coast on the wet western sides of Marion and Prince Edward Islands. Marion Island and Prince Edward Island were claimed for South Africa on 29 December 1947 and 4 January 1948 respectively, by a South African Navy force from HMSAS Transvaal under the command of John Fairbairn. On 1 October 1948 the annexation was made official when Governor-General Gideon Brand van Zyl signed the Prince Edward Islands Act, 1948. In terms of the Act, the islands fall under the jurisdiction of the Cape Town Magistrate's Court, and South African law as applied in the Western Cape applies on them. The islands are also deemed to be situated within the electoral district containing the Port of Cape Town; as of 2016 [update] this is ward 115 of the City of Cape Town. 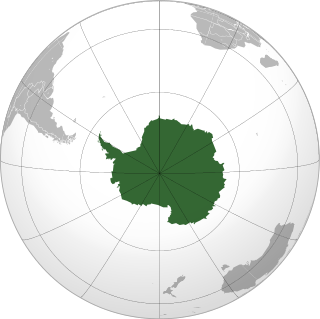 The Territory of Heard Island and McDonald Islands is an Australian external territory comprising a volcanic group of barren Antarctic islands, about two-thirds of the way from Madagascar to Antarctica. The group's overall size is 372 square kilometres (144 sq mi) in area and it has 101.9 km (63 mi) of coastline. Discovered in the mid-19th century, the islands have been an Australian territory since 1947 and contain the country's only two active volcanoes. The summit of one, Mawson Peak, is higher than any mountain on the Australian mainland. The islands lie on the Kerguelen Plateau in the Indian Ocean. The Auckland Islands are an archipelago of New Zealand, lying 465 kilometres (290 mi) south of the South Island. The main Auckland Island, occupying 510 km2 (200 sq mi), is surrounded by smaller Adams Island, Enderby Island, Disappointment Island, Ewing Island, Rose Island, Dundas Island, and Green Island, with a combined area of 625 km2 (240 sq mi). The islands have no permanent human inhabitants. Macquarie Island, a UNESCO World Heritage Site, lies in the southwest Pacific Ocean, about halfway between New Zealand and Antarctica. Regionally part of Oceania and politically a part of Tasmania, Australia since 1900, it became a Tasmanian State Reserve in 1978 and was inscribed on the World Heritage List in 1997. Gough Island, also known historically as Gonçalo Álvares after the Portuguese explorer, is a rugged volcanic island in the South Atlantic Ocean. It is a dependency of Tristan da Cunha and part of the British overseas territory of Saint Helena, Ascension and Tristan da Cunha. It is about 400 km (250 mi) south-east of the Tristan da Cunha archipelago, 2,400 km (1,500 mi) north-east from South Georgia Island, 2,700 km (1,700 mi) west from Cape Town, and over 3,200 km (2,000 mi) from the nearest point of South America. The southern giant petrel, also known as the Antarctic giant petrel, giant fulmar, stinker, and stinkpot, is a large seabird of the southern oceans. Its distribution overlaps broadly with the similar northern giant petrel, though it overall is centered slightly further south. Adults of the two species can be distinguished by the colour of their bill-tip: greenish in the southern and reddish in the northern. The sooty albatross, dark-mantled sooty albatross or dark-mantled albatross,, is a species of bird in the albatross family. They breed on sub-Antarctic islands and range at sea across the Southern Ocean from South America to Australia. The grey-headed albatross also known as the grey-headed mollymawk, is a large seabird from the albatross family. It has a circumpolar distribution, nesting on isolated islands in the Southern Ocean and feeding at high latitudes, further south than any of the other mollymawks. Its name derives from its ashy-grey head, throat and upper neck. 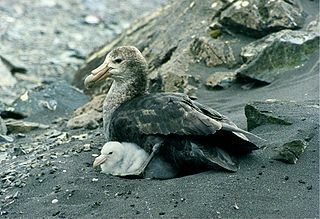 The Indian yellow-nosed albatross is a member of the albatross family, and is the smallest of the mollymawks. In 2004, BirdLife International split this species from the Atlantic yellow-nosed albatross; however Clements has not split it yet, and the SACC has not either, but recognises the need for a proposal. The white-chinned petrel or Cape hen, Procellaria aequinoctialis, is a large shearwater in the family Procellariidae. It ranges around the Southern Ocean as far north as southern Australia, Peru and Namibia, and breeds colonially on scattered islands. The Kerguelen petrel is a small slate-grey seabird in the family Procellariidae. The species has been described as a "taxonomic oddball", being placed for a long time in Pterodroma before being split out in 1942 into its own genus Aphrodroma. The position within the procellariids is still a matter of debate; when it was split away from the Pterodroma petrels it was suggested that it may be a fulmarine petrel, whereas a 1998 study placed the species close to the shearwaters and the genus Bulweria. Saint Helena, Ascension Island and Tristan da Cunha as well the other uninhabited islands nearby are a haven for wildlife in the middle of the Atlantic Ocean. The islands are or were home to much endemic flora and fauna, especially invertebrates, and many endemic fish species found in the reef ecosystems off the islands. The islands have been identified by BirdLife International as Important Bird Areas for both their endemic landbirds and breeding seabirds. The Southern Indian Ocean Islands tundra is a tundra ecoregion that includes several subantarctic islands in the southern Indian Ocean. 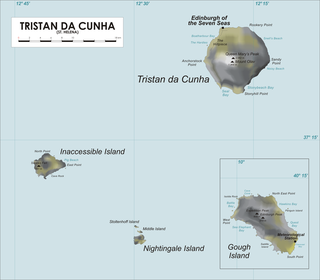 Tristan da Cunha is an archipelago of five islands in the southern Atlantic Ocean, the largest of which is the island of Tristan da Cunha itself and the second-largest the remote bird haven Gough Island. It forms part of a wider territory called Saint Helena, Ascension and Tristan da Cunha which includes Saint Helena and Ascension Island. Seabirds include some of the most threatened taxa anywhere in the world. For example, of extant albatross species, 82% are listed as threatened, endangered, or critically endangered by the International Union for Conservation of Nature. The two leading threats to seabirds are accidental bycatch by commercial fishing operations and introduced mammals on their breeding islands. Mammals are typically brought to remote islands by humans either accidentally as stowaways on ships, or deliberately for hunting, ranching, or biological control of previously introduced species. Introduced mammals have a multitude of negative effects on seabirds including direct and indirect effects. Direct effects include predation and disruption of breeding activities, and indirect effects include habitat transformation due to overgrazing and major shifts in nutrient cycling due to a halting of nutrient subsidies from seabird excrement. There are other invasive species on islands that wreak havoc on native bird populations, but mammals are by far the most commonly introduced species to islands and the most detrimental to breeding seabirds. Despite efforts to remove introduced mammals from these remote islands, invasive mammals are still present on roughly 80% of islands worldwide. Michael John "Mike" Imber was a New Zealand ornithologist known for his research work and expertise on petrels. Île aux Cochons, or Pig Island, is an uninhabited island in the subantarctic Crozet Archipelago. With an area of 67 km2 (26 sq mi) it is the third largest island of the group. Administratively, it is part of the French Southern and Antarctic Lands. Île des Pingouins, or Penguin Island, is an uninhabited island in the subantarctic Crozet Archipelago of the southern Indian Ocean. With an area of only 3 km2 (1 sq mi) it is one of the smaller islands of the group. Administratively, it is part of the French Southern and Antarctic Lands. It is an important nesting site for seabirds. ↑ "Prince Edward Islands". Ramsar Sites Information Service. Retrieved 25 April 2018. ↑ Cooper, John (June 2006). "Antarctica and Islands – Background Research Paper produced for the South Africa Environment Outlook report on behalf of the Department of Environmental Affairs and Tourism" (PDF). p. 6. Retrieved 5 October 2010. ↑ 1993 United Nations list of national parks and protected areas. World Conservation Monitoring Centre, International Union for Conservation of Nature and Natural Resources, Commission on Natural Parks and Protected Areas, United Nations Environment Programme. 1993. p. 173. ISBN 2-8317-0190-2. ↑ "Prince Edward Islands declared a Marine Protected Area". Department of Environmental Affairs, Republic of South Africa. 9 April 2013. Archived from the original on 12 July 2016. 1 2 3 4 5 6 7 8 "Prince Edward Islands Marine Protected Area: A global treasure setting new conservation benchmarks" (PDF). Archived (PDF) from the original on 12 July 2016. ↑ Pieter Arend Leupe: De eilanden Dina en Maerseveen in den Zuider Atlantischen Oceaan; in: Verhandelingen en berigten betrekkelijk het zeewezen, de zeevaartkunde, de hydrographie, de koloniën en de daarmede in verband staande wetenschappen, Jg. 1868, Deel 28, Afd. 2, [No.] 9; Amsterdam 1868 (pp. 242–253); cf. Rubin, Jeff (2008). Antarctica. Lonely Planet. p. 233. ISBN 978-1-74104-549-9. 1 2 3 "Marion Island, South Indian Ocean". Btinternet.com. 29 June 2003. Archived from the original on 29 July 2012. Retrieved 2012-10-09. ↑ "Marion and Prince Edward Islands" . Retrieved 2016-09-21. 1 2 Keller, Conrad (1901). "XXII – The Prince Edward Isles". Madagascar, Mauritius and the other East-African islands. S. Sonnenschein & Co. pp. 224–225. Retrieved 5 October 2010. ↑ Hough, Richard (1995). Captain James Cook: A Biography. W. W. Norton & Company. pp. 259–260. ISBN 978-0393315196. 1 2 3 4 Mills, William J. (2003). Exploring Polar Frontiers: A Historical Encyclopedia, Volume 1. ABC-CLIO. p. 531. ISBN 1576074226 . Retrieved 2014-04-04. 1 2 3 4 "Marion Island – History". Sanap.ac.za. Retrieved 2012-10-09. ↑ Ross (1847), pp. 45-47, vol.1. ↑ Cooper, John (2008). "Human history". In Chown, Steven L.; Froneman, Pierre William. The Prince Edward Islands: Land-sea Interactions in a Changing Ecosystem. Stellenbosch, South Africa: Sun Press. pp. 331–350, page 336. ISBN 978-1-920109-85-1. ↑ "ALSA to talk on Marion Island's forgotten history at a SCAR conference" . Retrieved 2016-09-21. 1 2 Yeld, John (18 March 2011). "New Marion Island base opens". The Cape Argus (Independent Newspapers). Archived from the original on 18 April 2016. ↑ "New Base Puts Sa On Top Of The Weather". South African Garden Route. 21 March 2011. Archived from the original on 25 November 2015. ↑ "Google Maps". Maps.google.com. 1 January 1970. Retrieved 2012-10-09. ↑ Philip, L; Abdurashidova, Z; Chiang, H. C; Ghazi, N; Gumba, A; Heilgendorff, H. M; Hickish, J; Jáuregui-García, J. M; Malepe, K; Nunhokee, C. D; Peterson, J; Sievers, J. L; Simes, V; Spann, R (2018). "Probing Radio Intensity at high-Z from Marion: 2017 Instrument". arXiv: 1806.09531 [astro-ph.IM]. 1 2 "Marion Island". Global Volcanism Program . Retrieved 2015-04-30. 1 2 3 4 "Marion Island". 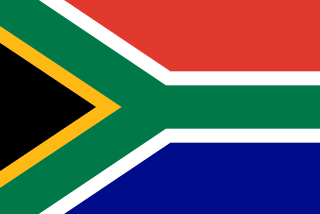 South African National Antarctic Program . Retrieved 2016-09-27. ↑ "Marion Island Climate Normals 1961–1990". National Oceanic and Atmospheric Administration . Retrieved 15 December 2012. ↑ "Station Ile Marion" (in French). Meteo Climat. Retrieved 11 June 2016. ↑ "Marion Island Marine Mammal Programme". Marionseals.com. Retrieved 2016-04-28. 1 2 3 "Southern Indian Ocean Islands tundra". Terrestrial Ecoregions. World Wildlife Fund. ↑ "Marion Island Killer Whales". Marionkillerwhales.com. Retrieved 2016-04-28. ↑ Berzin A.; Ivashchenko V.Y. ; Clapham J.P.; Brownell L. R.Jr. (2008). "The Truth About Soviet Whaling: A Memoir" (PDF). DigitalCommons@University of Nebraska – Lincoln. Retrieved 2016-03-09. 1 2 3 Bloomer J.P.; Bester M.N. (1992). "Control of feral cats on sub-Antarctic Marion Island, Indian Ocean". Biological Conservation, 60, 211-219. Retrieved 2016-09-23. 1 2 3 4 John Yeld. "Marion Island's Plague of Mice" . Retrieved 2016-09-23. ↑ K Berthier; M Langlais; P Auger; D Pontier (22 October 2000). "Dynamics of a feline virus with two transmission modes within exponentially growing host populations". BioInfoBank Library. Archived from the original on 10 February 2012. ↑ "The killer mice of Gough Island". Financial Times. Retrieved 2016-09-23. ↑ "Ridding South Georgia of rats and reindeer" . Retrieved 2016-09-26. ↑ "Impressions of an expert. Field work to assess the feasibility of eradicating Marion Island's mice completed" . Retrieved 2016-09-26. ↑ Cooper, J. et al., "Earth, fire and water: applying novel techniques to eradicate the invasive plant, procumbent pearlwort Sagina procumbenss, on Gough Island, a World heritage Site in the South Atlantic", Invasive Species Specialist Group, 2010, Retrieved on 12 February 2014. ↑ "Club Log: DXCC Most-Wanted List for April 2016". Secure.clublog.org. 2016-04-23. Retrieved 2016-04-28. LeMasurier, W. E.; Thomson, J. W., eds. (1990). Volcanoes of the Antarctic Plate and Southern Oceans. American Geophysical Union. ISBN 978-0-87590-172-5. 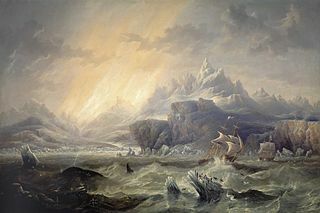 "Marion Island". Global Volcanism Program . Smithsonian Institution. "Prince Edward Island". Global Volcanism Program . Smithsonian Institution. Jenkins, Geoffrey (1979). Southtrap. William Collins, Sons and Co Ltd. ISBN 978-0-00-616116-5. Ross, James Clark (1847). A Voyage of Discovery and Research in the Southern and Antarctic Regions . London: John Murray – via Wikisource. de Bruyn P.J.N. ; Oosthuizen W.C., eds. (2017). "Pain forms the Character: Doc Bester, Cat hunters & Sealers". Antarctic Legacy of South Africa. ISBN 978-0-620-74912-1.